Elsa Campbell is a mixed media artist with a background in traditional black and white photography. A native New Englander, Elsa was born in Massachusetts and grew up in Vermont. She moved to Boston to study photography at the Art Institute of Boston and never left. She is a 20 year resident of the East Boston neighborhood with a studio in the Atlantic Works artist building. 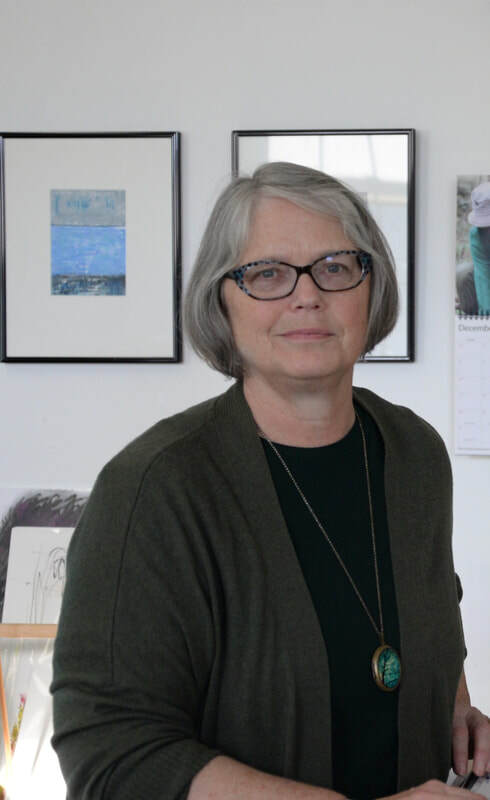 A founding member of the East Boston Artists Group, Elsa is recently retired from work in energy conservation and affordable housing and is now in her studio full time.